After 3 years and 4 months I have finally gotten my legendary mace, Val’anyr, Hammer of the Ancient Kings and I appreciate that it is an expansion too late but my first fragment was gained on April 15th 2009 (the day Ulduar was introduced in Patch 3.1) thanks to one of my healing crew passing up the chance for the fragment, thanks Spicefang! Finally last week I hit the magic 30 fragments on our Leviathan kill, which meant all I needed to do was grab myself a Yogg’Saron kill with 1 keeper missing and throwing the Shattered Fragments of Val’anyr at Yogg. But we were a small group and many had never seen the Yogg fight and there was a lot of tired people failing miserably so my planned night of victory failed at the very final hurdle. After that first fragment the next 6 fragments were gained during the last weeks of Deadwood’s 25 man raiding days. The collection of fragments stopped for me at in May/June 2009 as the guild went 10 man and even once I moved back to 25 man raiding I was so far down the pecking order from fragments I added no more to the collection during the Wrath era. Then early in Cataclysm the fragment collection started up again thanks to achievement runs organised by Mysteeq and her guild, GOF and after a few weeks I had hit 21 fragments then it seemed that the whole of Shadowsong had gotten their Glory of the Ulduar Raider achievements as the runs got cancelled due to a lack of sign ups. Months passed, no more runs happened I was convinced I’d never get the legendary and gave up the dream. 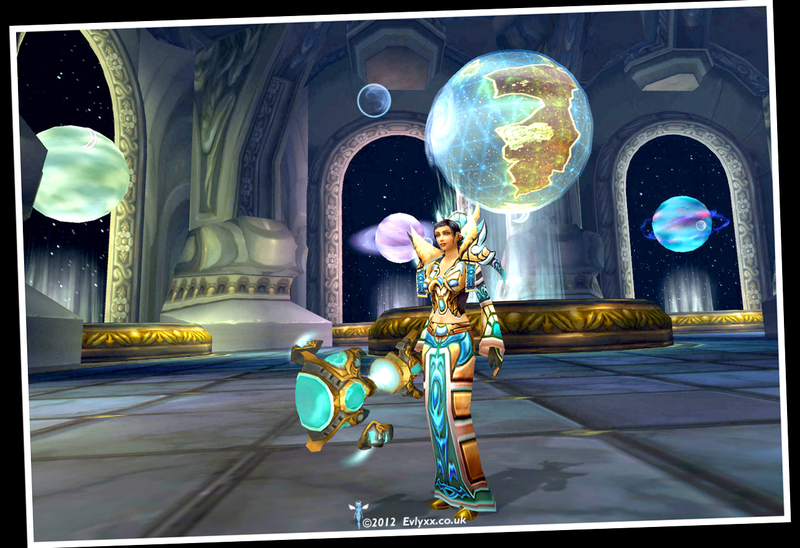 Then a few months back the Ulduar runs started to happen again but I was often not able to get the fragments as they were reserved or being shared among too many people. In the past few weeks my guild and former guild have started running Ulduar and ICC together for achievements and Aceraven, was collecting both my fragments and the ICC ones too and as I had more fragments than him kindly passed to help me get Val’anyr. After last week’s last minute fail, I set up a speed run of Ulduar, no achievements, no optional bosses just the bare minimum to get to Yogg early so tiredness didn’t come into play. We started slowly due to some late joiners (they had not noticed the earlier than normal start time) and we did pick up a few achievements without trying (OK we did try for Lumberjacked!) and by the time we pulled Yogg we were 15 which was a nice number to have and after an agonising wipe with 1million(ish) health point left we managed to kill Yogg Saron with 2 keepers missing and a speed kill. I was nerveous as hell about throwing theShattered Fragments of Val’anyr and was sure each time i had messed it up and it wasn’t until I was able to loot Reforged Hammer of the Ancient Kings from Yogg that I realised I had finally achieved my goal. Malicus, Dixxie/Torimaru, Beltyr, Cesaya, Ilvani, Etheral, Ragantosh, Cork, Spicefang, Ashima, Hazel/Sessine, Yoggy, Asintie, Vicachoo, Ordos, Demonsbane, Grimmhammer, Smout, Wollo, Evo, Razzero, Piteq, Rixxor, Mijuanne, Myna, Holymind, Dukun, Soddan, Kargrimm, The meisters, Dragonbait/Dragonsting, Mysteeq, Sammiches, Jaytee, Asheera, Malduk, Nak, Jibbajabba, Hukin/Ithilrist, Gungrip, Brimar, Acheronos, Seleigh, Baniza, Kojiro, Aceraven, Myble, Proseidon, Quant, Hiddenpanda, Nuchy, Coldshade, Ziyall, Kiah, Lerooy, Maxizilian, Pólgara, and Kikuchiyo.